The Original BG (1978) was a space adventure about important themes, but ultimately it was about, well, adventure. Hence, space adventure. It was loaded with battle scenes, and the Cylons fought back with very cool ships and even cooler voices. The newer 2004 BSG series: eh, not so much. You need to watch a lot of episodes to see even one battle scene, and the rest is all soap opera drama. Boring, poorly written, soap opera drama. It's Guiding Light in the Stars. I'm not saying it's bad, exactly; just that it's not for me. Dynasty and Dallas were not my thing in the 80s. I like science fiction. The new BG series is not much science fiction, and certainly is not adventure. It's just a lot of crying, conniving, back-stabbing, and sordid relations. It's Alexis and the Colbys in space (or a more modern analogy: it's the Kardashians in Space). It's boring. Is it possible that David Eick and Ronald D. Moore are not real writers, but are creators of ad campaigns and soap opera pulp? No vision at all? Nah, I think they just know how to keep themselves employed. This remade series was not born from real writing or passion. It was created in a board room like a marketing campaign. They made Starbuck a woman because it was a marketing gimmick. Nothing more. It made no sense to the story line. It was for attention and ratings. No surprise that her character came off like flat cardboard. The original Starbuck (played by Dirk Benedict) was fun, bold, and Han Solo-ish. This new Starbuck inspires no empathy, and is ridiculous in her role. She also seems to hate everyone in her world, and that gets old quickly. The new Baltar is even worse. He's unbelievable and his role was written just as badly. He's predictable and equally boring. The original Baltar was menacing and had a stance in the game, and was brilliantly acted by John Colicos. Baltar is supposed to make you fear and think, but the new one just makes you go to sleep. Some Cylons now look like humans, another marketing decision. It made the special effects easier, and it was a better sell for the crying and drama that would swell in the fleet. The Cylon Centurions look good, but not better than the original, and we rarely see them. You can count their appearance in battles on one hand. Sometimes months of episodes went by without any battle scenes or any real conflict, just more crying and shouting. It's an advanced civilization that can build humanistic Cylons, but we couldn't fix Col. Tigh's eye? The character of the President whines and spins riddles and pontificates about her illness... this didn't help the show either. It's no wonder Glen Larson and the original writers wanted nothing to do with this remake. It's a mockery of the original series. What was the point in SciFi (aka Syfy) buying the rights to a show that they don't intend to market toward its original audience? They should have just made up their own theme. I'm sure none of the fans of the original Battlestar Galactica liked this new BSG incarnation. It was marketed toward a whole different demographic made of soap opera/reality TV fans. 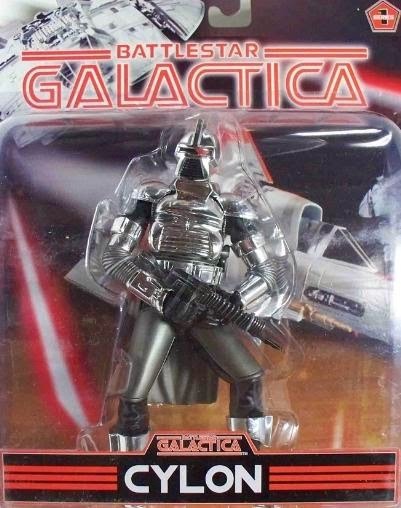 So, what was the point in calling it Battlestar Galactica? Shows should be born from passion and enthusiasm, not from marketing ideas. There are many good shows that do show this passion: Heroes and Supernatural are great TV series with heart and soul. The BSG team could have learned from these shows, but I doubt they were interested in the same goal. After all, Battlestar Galactica got its ratings. There are a lot of soap opera fans out there. Please just stop wasting space on a network that is supposed to be about sci-fi (although less and less so each year). Just as MTV is no longer about music, SyFy runs the danger of becoming just another network with nothing to do with science fiction. In 2009 Bryan Singer signed on with Glen Larson to make a real Battlestar Galactica movie based on the original series. He made a point of saying it would not be based on the SyFi channel's 2004 series, but would be based on the original. The date for its release has not yet been set, but when it does come out, that's a movie I do want to see. Please clean our palates with a good remake, guys. For now we can rid ourselves of the bad taste of 2004-2009 BSG by watching DVDs of the 1978 Battlestar Galactica series, again. Look at my article on the Blake's '7 sci-fi TV show instead. It's much better than the newly rebooted Battlestar Galactica. 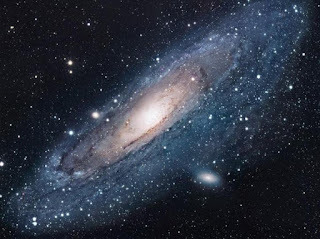 for more science fiction with quality.